I do not know too many managers, other than the fine folks in HR, that love to complete annual performance reviews. “Good” employees tend to get good reviews, and typically have little discussed in areas of development. 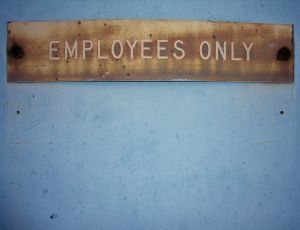 I do not know if this is out of fear of lowering employee motivation, or that most “good” employees just walk on water. The unfortunate “bad” employees will get raked over the coals, and have difficult conversations that cause increased strain on the manager-employee relationship. I have always tried to keep the performance reviews as honest and fair as possible, all the while knowing they are inevitably biased out of the shear human condition. With my last team, I completed mini review sessions quarterly, and after every major project. This kept the dialog going, and I tried not to spend the majority of time focused on areas of weaknesses. I would address weaknesses only if they caused department/productivity issues, or were preventing the individual from moving forward with their career plan. The below excerpt is an article from the Wall Street Journal written by Dr. Samuel Culbert from UCLA Anderson School of Management in Los Angeles, and he has an interesting take on the annual review process. It is worth a read. And yet in a performance review, employees are supposed to be measured along some predetermined checklist. In almost every instance what’s being “measured” has less to do with what an individual was focusing on in attempting to perform competently and more to do with a checklist expert’s assumptions about what competent people do. This is why pleasing the boss so often becomes more important than doing a good job. Create a positive impression and the boss will score you high on any dimension presented. Worse, bosses apply the same rating scale to people with different functions. They don’t redo the checklist for every different activity. As a result, bosses reduce their global sentiments to a set of metrics that captures the unique qualities of neither the person nor the job. The process he is a proponent for is proactive and continual throughout the year, which is very positive. It focuses on the strengths of people, and places management in a more accountable and active role in the success of employees. However, I have concerns around the potential lack of accountability this model has for the employees who under-perform. The article’s model would work great in an “Ideal” world, but humans are far from ideal. I believe, from what I have read and my personal experiences, that it would work for most employees, but you would have abuses on both sides that would be difficult to manage. Very clear policies around corrective action plans would need to be developed and enforced. Management would have to be truly accountable to their peer group to ensure compliance in the feedback and support mechanisms. This type of process would take dedication and serious effort. I would be very interested in hearing from anyone who has seen this type of management style put into practice. We use a “check list” where I work. If you don’t qualify for a certain section on the list, it’s just crossed out and not counted towards your review. It’s safe to say that most people here though do self reviews.